To tell you the truth, this song makes me cry (almost every time). PS Speaking of John Denver, "Follow me, where I go, what I do and who I know. Make it part of you to be a part of me." Just click on the follow button on the right side of my blog (I know this is a desperate attempt to get followers, but maybe it will work ....or maybe I'll lose the few of you I have). 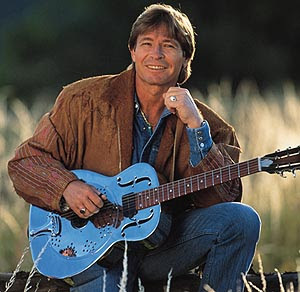 LOVE LOVE LOVE John Denver!!!!!!!!!! I know every song by heart and can sing them all...quite loudly! !